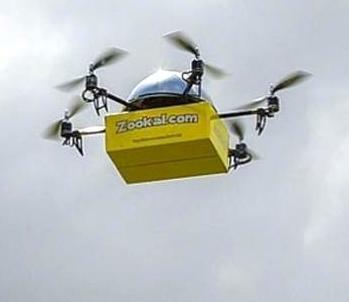 In order for commercial drones like Amazon’s or Australian startup Flirtey’s to become a reality, the drone (or any future-world technology, really) can’t merely do its job—meaning, it can’t randomly drop off deliveries and simply fly away as the drone in the Amazon demo video does. There’s a lot more to it than that. To make this kind of service take off (literally), companies will have to consider the user experience, and especially the microinteractions, the drones will have with customers, writes Dan Saffer in UX Magazine. There are quite a few issues to be resolved, clearly.